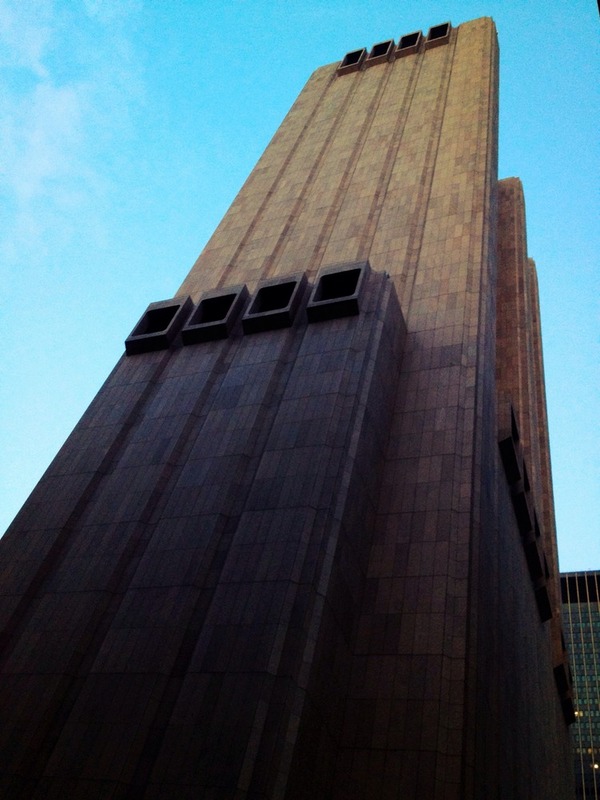 The AT&T Long Lines Building is a truly unique building, not because it’s the tallest, the largest, or the most technically advanced. In fact, it’s not even habitable, as it doesn’t house apartments or offices. The 167.5 meter tall skyscraper was built to house telephone switching equipment and was completed in 1974. Located on Church Street, in Manhattan’s SoHo neighborhood, the building is shocking the viewer through its lack of windows and flat concrete slab facade. It kind of looks like a medieval tower, like those linking together portions of a defense wall of an ancient castle. Damn – I’ve never seen this building before. Kind of creepy, no? Nice shot too.